Hello wine lovers and happy #wineWednesday to you! My post today is of our pre-pre-conference excursion from NYC to Keuka Lake in the Finger Lakes region of New York. One thing I can say about traveling by bus is that it may not be the optimal mode of transit, but Holy Mother of Pearl, you encounter some ‘interesting’ characters. Never again will I be able to hear the name ‘Beryl’ without thinking of a mailbox and what package was left inside of it. Or, hear the name ‘Joey’ and think of the lying Tony Soprano-esque man seated behind Josh and I who shouted into his cell phone and got into a verbal and physical stand-off with the bus driver. ‘Tony’ is chiselled into my memory. I was able to work on my Bronx accent which will hopefully come in handy at some point in my life. Amy, Leeann, Josh, Sujinder and I arrived safely in Elmira, NY, rented a loud mini-van and headed toward our first Finger Lakes destination – the Hector Wine Company located on the east side of Seneca Lake. We were hosted by Justin Boyette, who is a partner and winemaker at Hector Wine Company, as well as a partner in Forge Cellars with Louis Barruol – Vigneron/Proprietor at Chateau Sainte Cosme in Gigondas in the Rhone Valley. Justin led us through all of the Hector Wine selections as well as the Forge Cellar flight. 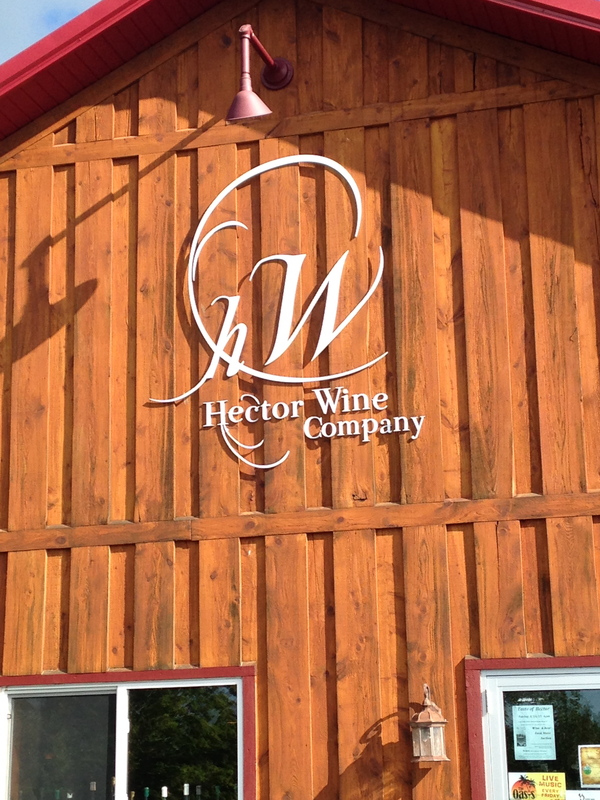 The wines were delicious – my favourite Hector wines were the 2013 Gewürztraminer and the 2013 Cabernet Sauvignon. 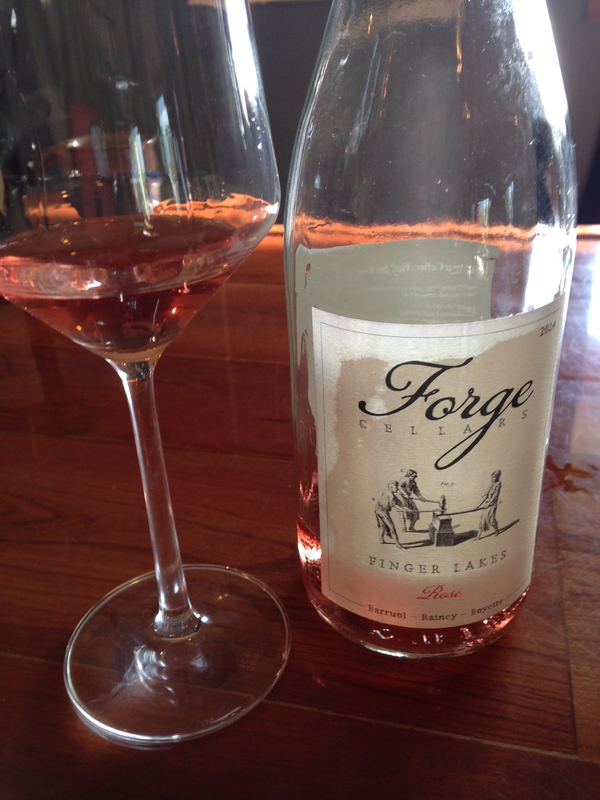 The Forge Cellar favourites for me were the Rosé, the 2013 ‘Les Alliés’ Riesling, the 2013 ‘Les Alliés’ Pinot Noir which is unfined and unfiltered…superb. 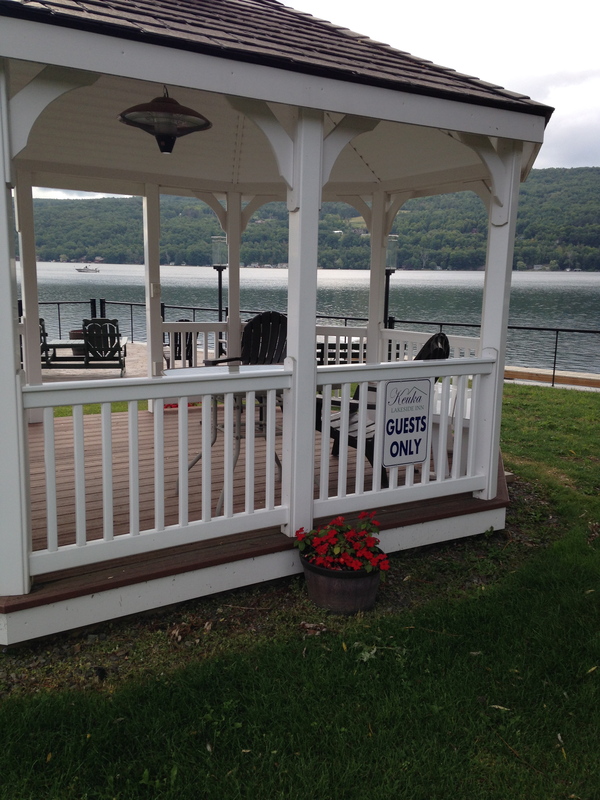 We drove back to the Keuka Lakeside Inn located in Hammondsport, N.Y. It was time for dinner and were told to go to The Village Tavern and Restaurant by Justin at Hector Wine Company. We were treated very well by Suzanne and had a great meal with some great wine and outstanding Cabernet Franc – thank you! It was back to the Lakeside Inn where Leeann taught Amy and I to sabre a sparkling bottle of Cava with a VERY sharp knife. I love that I didn’t learn in Reims or Epernay when I was in Champagne in 2013 – no – I learned with some of my newest and dearest friends in Hammondsport, New York! With success under our belts, the five of us proceeded to drink four bottles of bubble we had purchased and sat around the beautiful dock that Ron, the owner of the Inn, beautifully decorated with gas torches and an outdoor fire pit. The conversation that night and the laughter that ensued firmly solidified my friendships with the group. 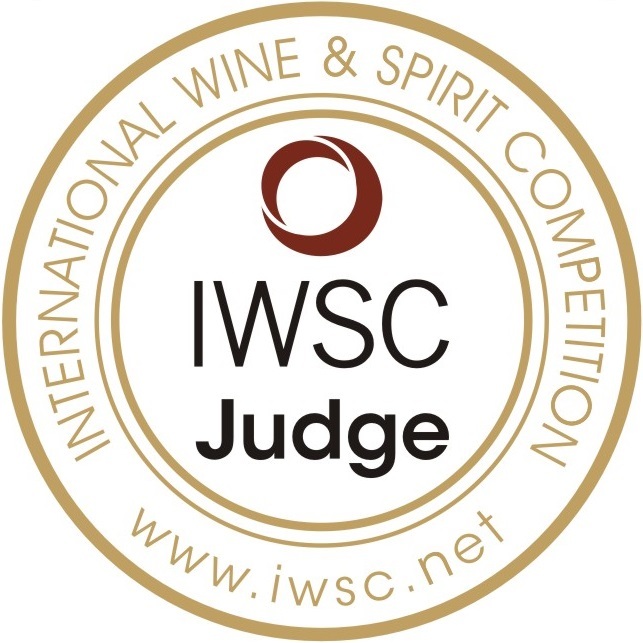 And, friendship, not wine, is really what I came away from this years #WBC15 thinking about…Wine is what brings us all together with a common love – yes. But it is the friendships, laughter and learning that really inspires me and makes me fly. Next week, I will post about the terrific pre-conference excursion where 50 lucky wine bloggers, including yours truly, had an amazing experience in and around Seneca Lake. Sounds like a great adventure with good friends, perfect! It was such a fun adventure for sure – and a highlight for me as well, in addition to your success in slashing open the wine (like a boss!) was the swim we had in Keuka Lake. Paradise.